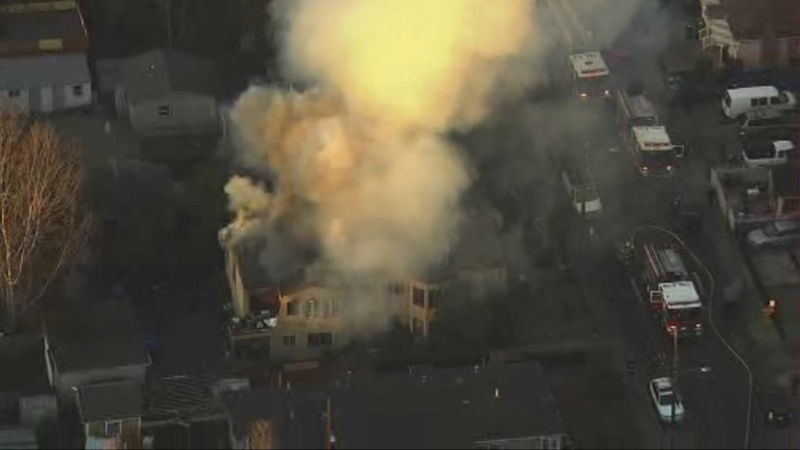 OAKLAND, Calif. -- Firefighters are responding to a two-alarm fire in East Oakland this morning, a fire dispatcher said. The fire was reported at 7:05 a.m. in the 600 block of Clara Street, a few blocks from the intersection of 98th and Edes avenues, according to the fire department. Initial reports indicate the fire started in an RV and spread to a nearby structure, according to firefighters. They are still working to control the blaze.